A pawn is another term for a collateral loan. Pawnbrokers lend money on items of value ranging from gold and diamond jewelry, musical instruments, televisions, electronics, tools, household items, firearms, and much more. Loans are based on the current value of the collateral. When a customer pays back the loan, their merchandise is returned to them. Beachside Pawn shoppe offers extensions/renewals on all pawns. Pawnbrokers offer the consumer a quick, convenient and confidential way to borrow money. A short-term cash need can be met with no credit check or legal consequences if the loan is not repaid. Pawnbroking imposes a discipline on the borrower that other lenders do not. Pawn loans do not cause people to overextend credit or go into bankruptcy. Beachside Pawn shoppe will loan money on anything of value. Loan amounts vary according to the value of the item. There is no minimum dollar amount allowed on a pawn transaction. Your loan amount will be determined according to other factors as well such as demand and condition of the item. Beachside Pawn shoppe offers top dollar loans. Pawn shops base the value of the item on current appraised value, its current condition and the ability to sell the item. Pawnbrokers use research tools that they have at their disposal to determine an item’s value and get you the most money for the item. The appraisal process varies depending on the type of item—for example, jewelry is evaluated differently than a DVD player. All items that pawn shops buy or pawn are tested to ensure that it works properly. 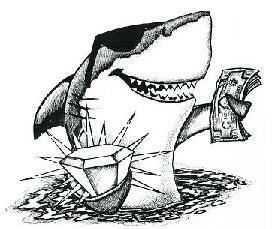 Beachside Pawn shoppe will help meet your financial needs. How can I be sure the merchandise I purchase at a pawn store isn't stolen? Less than half of one percent of all pawned merchandise is identified as stolen goods. That’s because customers must provide positive identification and a complete description of the merchandise. This information is then regularly transmitted to law enforcement, which dramatically decreases the likelihood that a thief would bring stolen merchandise to a pawn store. Beachside Pawn shoppe holds everything they buy for a 30 day period for local and state law enforcements to ensure it's not stolen. Yes, Pawnbrokers are governed by all of the major federal laws that apply to entities designed as financial institutions. The federal laws that regulate the pawn industry are Patriot Act, Truth in Lending Act, Equal Credit Opportunity Act, as well as Data Privacy and Safeguard of consumer information as part of the Federal Trade Commission (FTC) Rules. Pawn shops that deal in firearms are regulated by the Bureau of Alcohol, Tobacco, Firearms and Explosives (ATF). Pawn shops may also be Federal Firearms License holders. States have regulated the pawn industry for decades, and pawnbrokers are licensed and regulated by local authorities as well. Beachside Pawn shoppe has operated in Brevard County for over 21 years. Do pawn customers enjoy the same protections under federal law that customers of other financial institutions ? No. Pawn transactions are the only type of consumer credit that requires reporting to local law enforcement agencies. In many states such as Florida this reporting is required daily, and must include extremely sensitive personal information about the consumer (i.e. ethnicity, gender, address). Much of this information qualifies as “non-public personal information” under federal privacy law and is entitled to protection as such. On average, about 80 percent of all pawn loans are repaid. Repeat customers make up a majority of the business, similar to any other lending or retail establishment. Pawnbrokers establish relationships with their customers because they often borrow against the same items repeatedly. Pawnbrokers offer non-recourse loans, looking only to the item being pledged to recover their investment if the borrower chooses not to repay the loan. Beachside Pawn shoppe makes every attempt to alert customers of past due tickets prior to placing for sale when their past due. No. To provide their service, all lenders must charge rates commensurate with the size and duration of the loan, collateral, risk and recourse. Pawn transactions are most often short term loans with no hidden charges. The fee of the loan is often less than one might leave a waiter/waitress for similar cost of lunch or dinner.